The former secretary of state slammed the New York businessman over his statements on paid family leave, equal pay, and abortion during her address to the Planned Parenthood Action Fund in Washington DC. The presumptive Democratic nominee called out Trump for saying guaranteed paid family leave would make America less competitive, that equal pay would be earned if women “do as good a job” as men, and that the Supreme Court should overturn Roe V. Wade — the decision that legalised abortion nationally in 1973. “We are not going to let Donald Trump or anyone else turn back the clock,” she said. 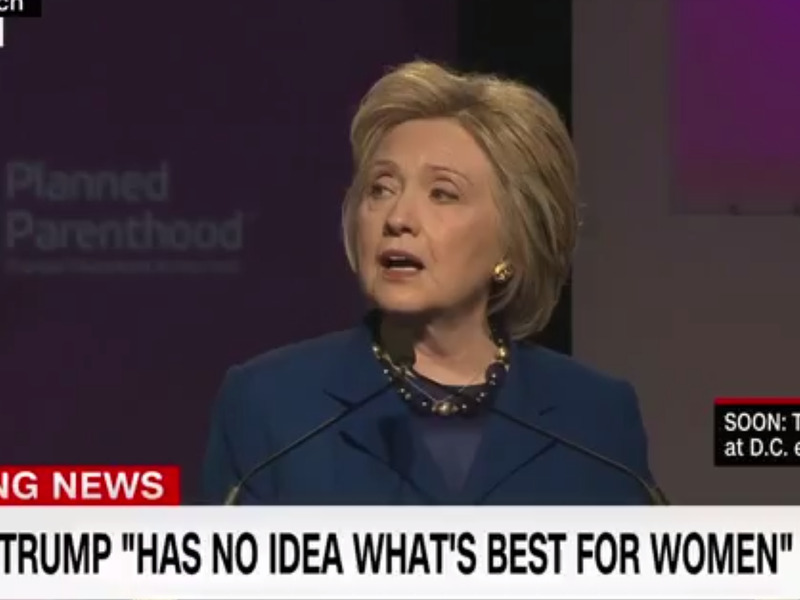 Clinton made a point of bringing up remarks Trump made on abortion in March, where he told MSNBC host Chris Matthews that “there should be some form of punishment” for women who would break the law in a future United States where abortion was once again made illegal. “They have set the law and frankly the judges, you’re going to have a very big election coming up for that reason because you have judges where it’s a real tipping point and with the loss of [Antonin] Scalia, who was a very strong justice, this presidential election is going to be very important,” he said. The Manhattan billionaire added that the legality of abortion depends on the November election. The woman is a victim in this case as is the life in her womb. My position has not changed – like Ronald Reagan, I am pro-life with exceptions. 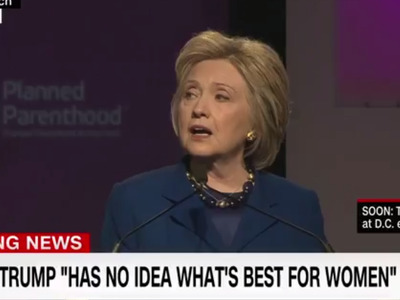 She then posed the following question: Do women want to put their health, lives, and futures in Trump’s hands?